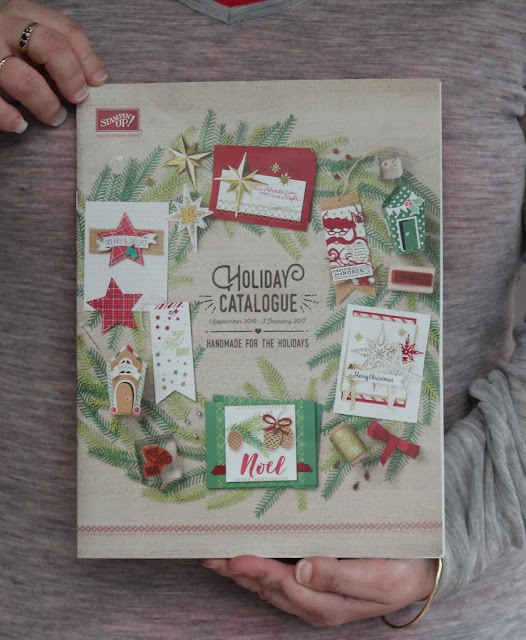 A Spot of Stamping: Holiday Catalogue is coming soon! Holiday Catalogue is coming soon! This amazing Holiday Catalogue starts 2nd September. As soon as I'm able to, I'll be sharing it with you in detail. Don't you just love some of those things you can see on the cover? Wait until you see inside. I can honestly say, this is the best holiday catalogue I have seen. Be ready to be inspired to make many Christmas crafts this year.